Why don’t Quakers do communion? 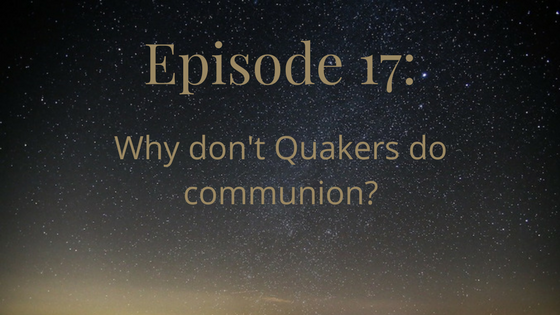 It’s really common for Christians to ask “why don’t Quakers do communion?” This relates to last week’s episode about spiritual baptism. In that episode, we talked about how these sacraments that the government-run church said you needed to get heaven were only accessible through the government priests. Looking at Scripture, one mark against the idea that some ritualistic form of communion is required is that the actual steps of the ritual aren’t laid out. If it’s so important, wouldn’t the correct steps be explained? We talk some about how even for Christians who do communion, it has different meanings. Catholics believe Jesus is really present in the bread and wine. They call it transubstantiation. (Note from Mackenzie: when taking the exam before my confirmation, spelling counted on that one) Protestants may or may not believe that to varying degrees, but Quakers traditionally would be very close on this one. We would agree with the Catholics that Jesus is actually present in the bread and wine. What we would disagree about is that Jesus is not also present in my shoe. When we say “God is omnipresent” (or the Divine is omnipresent) we mean it! And we have a question for the listeners: which early Quaker was it who started cobbling shoes on the altar at a church steeplehouse? All of life is sacramental. It’s a central part of the Protestant Reformation that religion can be here in our regular lives. We don’t need to be cloistered nuns or monks to be religious. All of us, with our regular lives and our marriages and our kids, can fully participate. 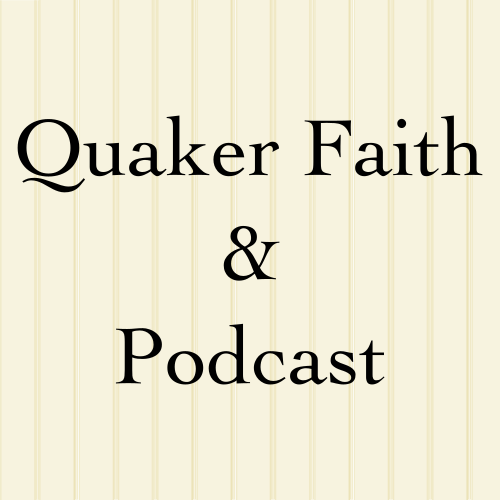 Quakers go a step further: the Divine is not just in this piece of bread of this cup of wine. It’s everywhere. Sometimes unprogrammed/waiting/silent worship will be called “communion in the manner of Friends.” That’s really striking, because yes, the goal is to commune with the Divine! People don’t think about the roots of “commune,” “communion,” and “community.” They just think “oh yeah communion: bread and wine.” But it’s about oneness with God and with the community. Other Christians ask “but it says ‘do this in remembrance of me,’ so why don’t Quakers do communion?” What was Jesus doing there? He was breaking bread with others in his faith community. We absolutely break bread on a regular basis. Our potluck game is on point, yo! Micah points out that there’s a strong urge to take what we read about in the Bible and try to codify it into rituals. It’s turning Jesus’ path into a religion. But that’s not necessary. We can follow a path without doing a bunch of rituals along the way. Wanna do it? Go ahead. Look, there’s no hard and fast rule against the Lord’s Supper. The phrase “but Quakers don’t do that” shouldn’t ever shut down following a leading. It shouldn’t shut down a leading to kneel or to cross yourself or to pray out loud or to speak in tongues. Just don’t make an expectation of others. Open question: which early Quaker was it who started cobbling shoes on the altar at a church steeplehouse?